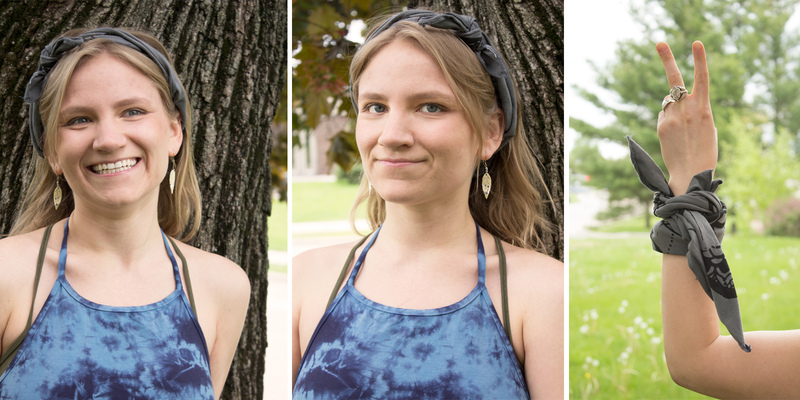 How to Wear a Bandana – Hippie Style! In honor of festival season, we are bringing back one of our popular posts – how to wear a bandana. 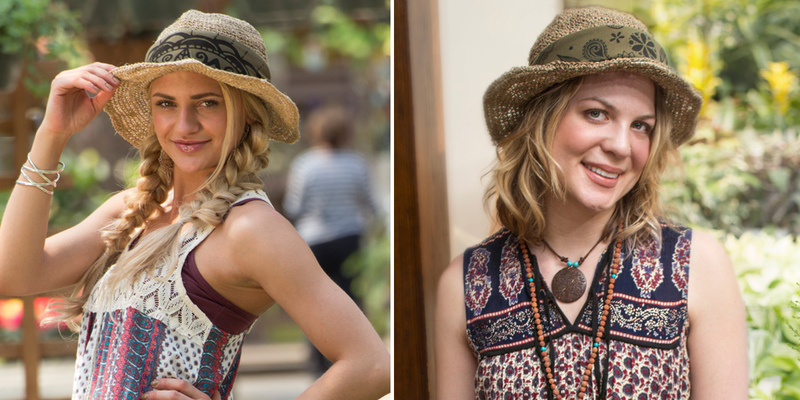 If you are wondering how to wear a bandana, let us show you some unique ideas, inspired by 60s hippie style. 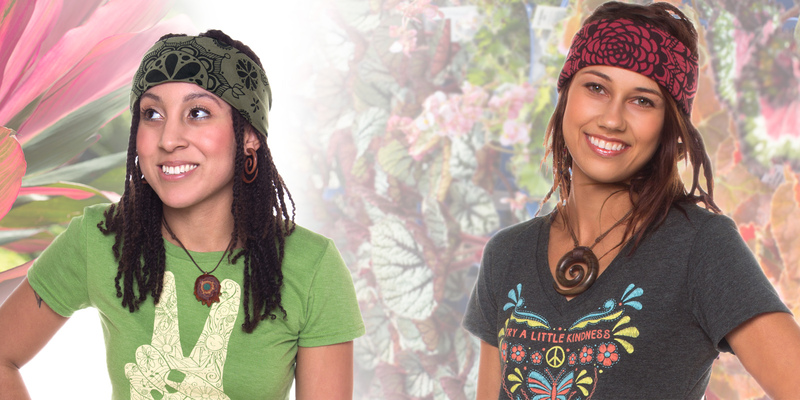 Try a cool hippie look like the hippie headband, the hippie head scarf or the hippie neck tie! Hippie bandanas are useful, versatile, and come in fun colors and designs. 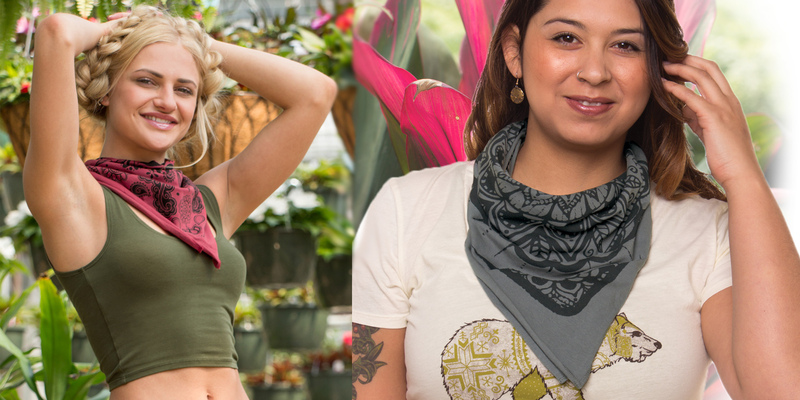 We think bandanas are truly a “cool thread for a kind head.” Read on for some style inspiration on how to wear bandana – hippie style! 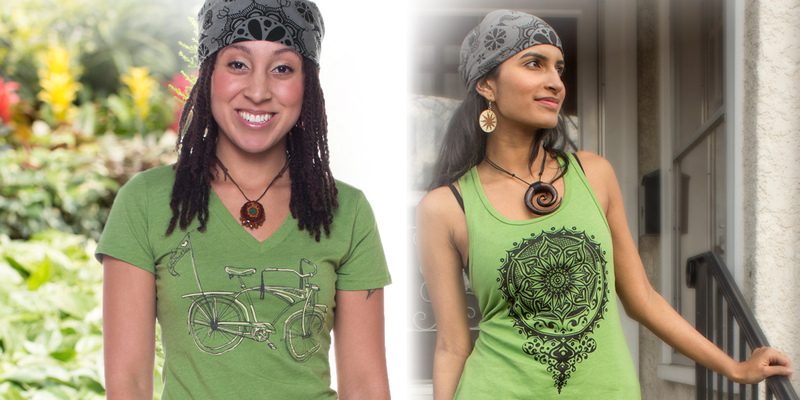 from your buds at Soul Flower, cool eco threads for kind heads! Fold your bandana in half diagonally and keep folding it in half until it’s 2-3″ wide. 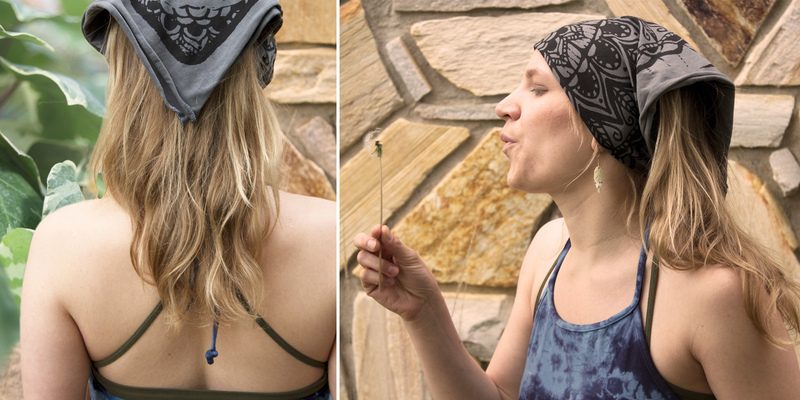 Tie it around your favorite hippie festival hat to add a pop of color and a hippie vibe! Find a 3-4″ portion of your bandana that you want to be showing (should be near the center) and fold just above it. Continue to fold that portion until you’ve used the length of the headband and tie a double-knot behind your head. The Hippie Headband style works best with your hair down. For an extra easy version of the hippie headband, don’t overlook our boho bandeaus headbands – one of our best selling hippie accessories! Fold your bandana in half diagonally and tie the long portion under your hair. This style works best with your hair down, in two braids, or pigtails and is perfect for keeping your hair out of your face on windy days! Fold your bandana in half diagonally. Tie the long portion around your head and tuck the pointy part underneath the tie or tie it on for a more secure look and feel. Rock this look with your hair down or in two braids. And don’t forget your hippie t-shirt! Fold your bandana in half and simply tie the long portion around your neck! Scrunch the top down for a more slouchy look. This style is great for sandy or dusty festivals like Burning Man. How to Wear a Banana: The Hippie Knot! Fold your bandana diagonally and roll it up into a 1″ strip, then tie a knot at the end. Fasten it either around your head as a hippie hair band (show the bow!) or wrap it around your wrist to keep it extra handy (no pun intended)! Shop Soul Flower Hippie Bandanas and Hippie Headbands! 1 Comment on How to Wear a Bandana – Hippie Style!